Chipotle's new burger joint looks nothing like Chipotle. It does, however, look suspiciously similar to many of its competitors. Chipotle opened the first Tasty Made location opened in Lancaster, Ohio, last week, and there's a lot at stake. The company is betting big on the success of its two spinoff brands, Tasty Made and Pizzeria Locale, as its sales continue to tank. But initial reviews of Tasty Made aren't great. The location has a two-star rating on Yelp, and reviews describe the place as "sad" and "underwhelming." 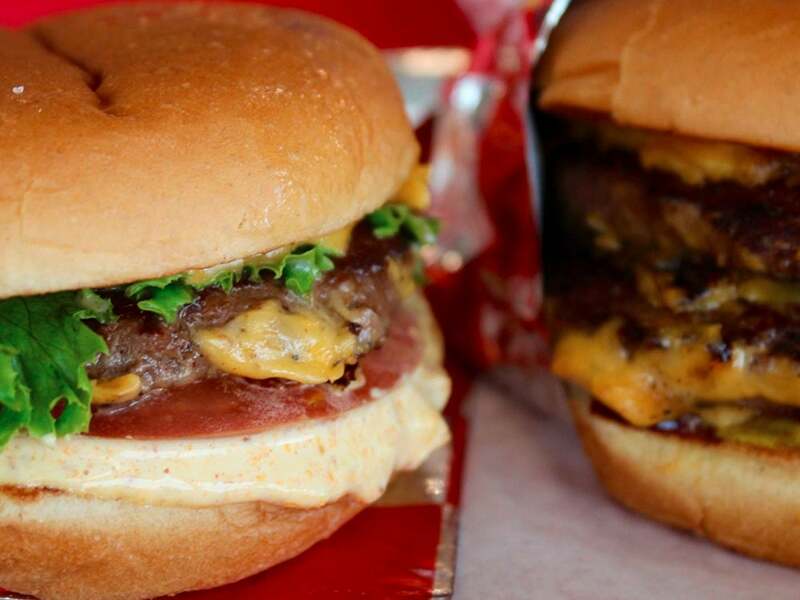 One of customers' biggest complaints is that Tasty Made looks strikingly similar to other chains, many of which they say can craft a better burger. "There seems to be an identity crisis, which surprised me," reads a three-star Yelp review of the location. "Everything from the menu to the color palette and decor screams 'imitation of In-N-Out and Five Guys.'" We took a look at some of the chains that Chipotle seems to be drawing some serious inspiration from. The makeup of Tasty Made's menu shares some striking similarities to In-N-Out. Both chains have just four offerings: burgers, fries, shakes and beverages. Both chains offer a relatively simple take on the hamburger, promising to elevate the humble dish with a beef patty free of additives and preservatives. Just like In-N-Out has its animal sauce, Tasty Made is trying to distinguish itself with a smoky bacon "tasty sauce." The similarities aren't escaping customers. For some, in fact, they were a bonus. "My burger was as close to In-N-Out as you can get without becoming embroiled in some kind of litigation over taste and presentation," reads the location's only five-star review so far. 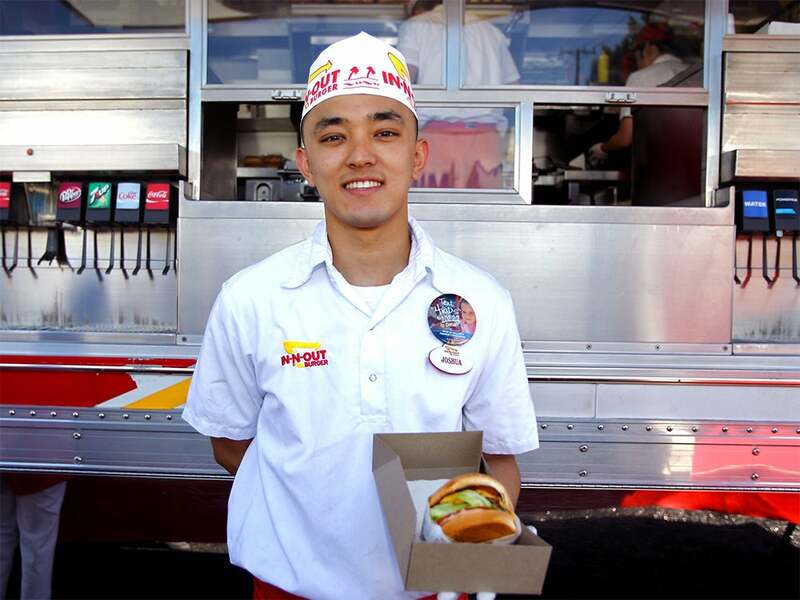 "It is comforting to know that I don't have to hop a nonstop to LA to get an In-N-Out fix whenever I feel the urge." "Dear Chipotle, you poisoned me twice with your burritos. I forgave you," reads a one-star review. "But for you to take clothes from In-And-Out and resell Wendy's cheeseburgers for 3x the price...well, I have to wonder: Don't you guys care about your fellow man anymore?" In-N-Out's rival, Shake Shack, also appears to be a major source of inspiration for Chipotle's new burger joint. After all, just like Shake Shack, Tasty Made is emphasizing its quality ingredients and burgers that are grilled to order and never frozen. And just as Shake Shack has the ShackBurger, Tasty Made is calling its signature burger "The Tasty Made." It's similarly available in a single or a double. 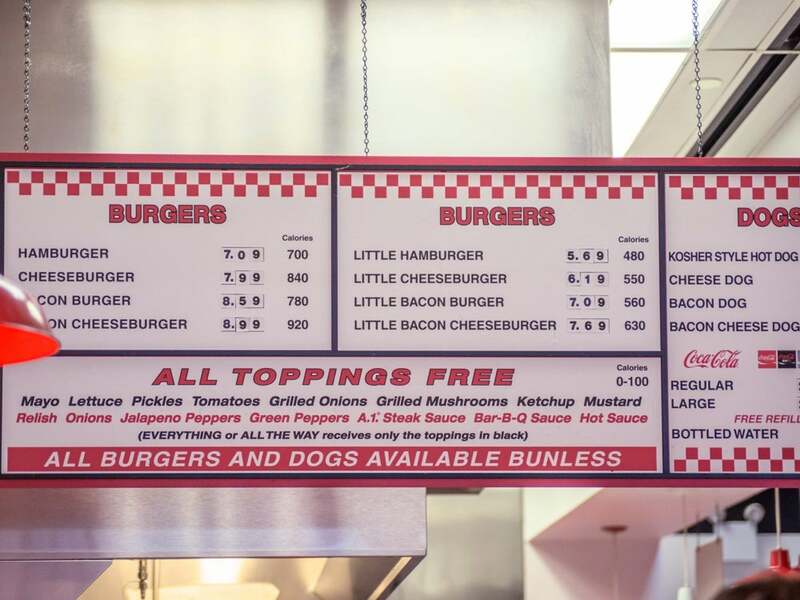 When it comes to design, Tasty Made has more than a few aesthetic similarities to Five Guys. Again, customers are noticing the similarities -- and some aren't happy. "Not worth it," one customer posted on Instagram. "It's just like Five Guys but limited options and with a drive-thru." 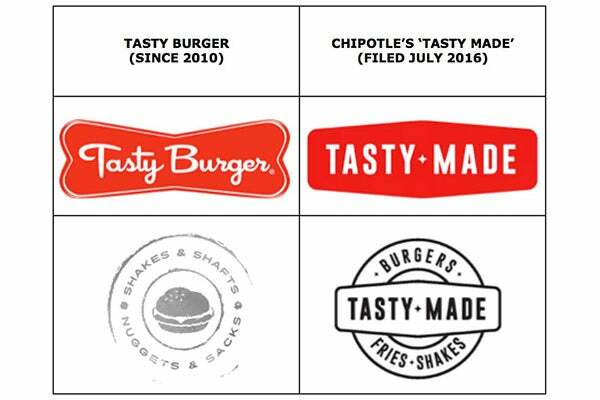 Tasty Made's similarities to a small, six-location burger chain have actually led to legal issues for Chipotle. Tasty Burger, a Boston-based chain, filed a complaint against Tasty Made with the U.S. Patent and Trademark Office in October saying its logo and name are too similar, according to The Boston Globe. "The U.S. Trademark and Patent Office (USPTO) has approved all Tasty Made trademark applications for registration on the primary register. We do not believe that Tasty Burger has any basis for a claim or objection to such approval. We view no confusion or conflict here. While we did discuss Tasty Burger's concerns with them, such discussions led us to believe that Tasty Burger is simply using this as a way to build awareness for their brand and has no valid legal basis to challenge our trademark." More generally, Arnold said that Tasty Made is "designed as a very classic burger restaurant, with a very focused menu," and distinguishes itself by using high-quality ingredients. Tasty Made's problem is that better ingredients don't truly distinguish a burger chain from the competition in 2016. In recent years, the better-burger business has become crowded, with chains such as Shake Shack and Five Guys demonstrating that a fast-food staple can be improved with higher-quality ingredients. For years, fast-casual restaurants have imitated Chipotle's menu, design, and more, hoping to be the "Chipotle of" every type of food from Hawaiian to Greek. Now, however, it looks as though Chipotle may have fallen into the trap of becoming the imitator and not the trendsetter. For a struggling chain, it's not a good position to be in.